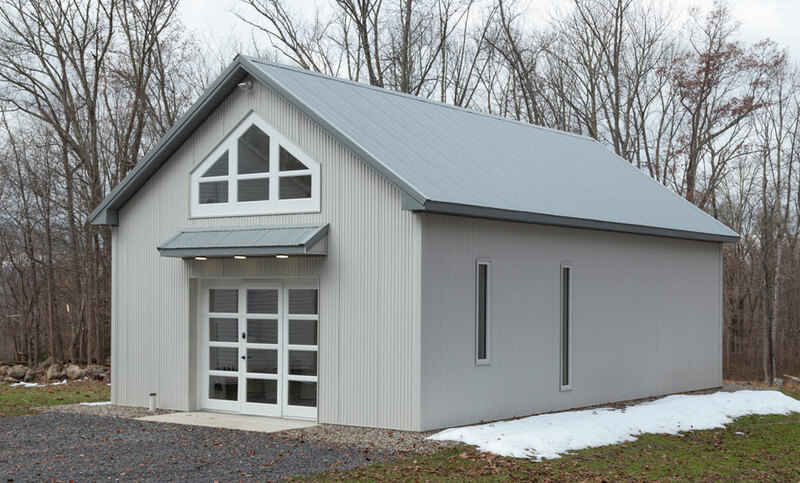 At Conestoga Buildings, our custom structures are anything but ordinary. 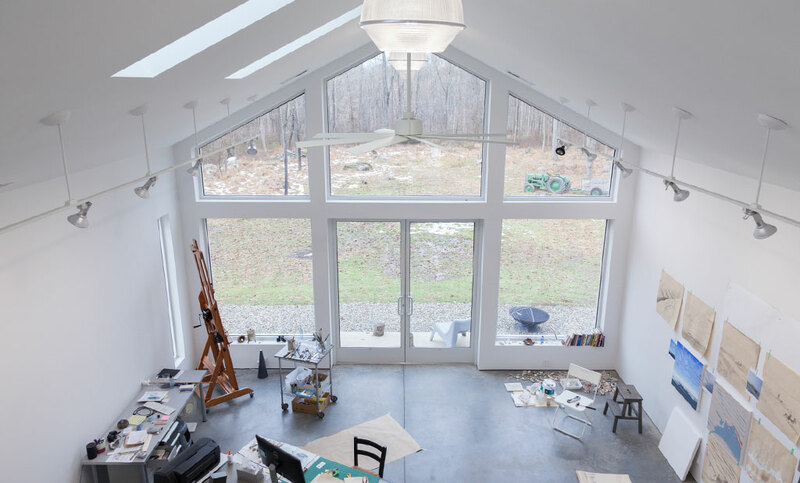 We recently completed an artist’s loft for a painter near New Hope, PA. The customer wanted a quiet space to draw inspiration from the outdoors for their work. Our team constructed a custom post frame building with a modern twist. 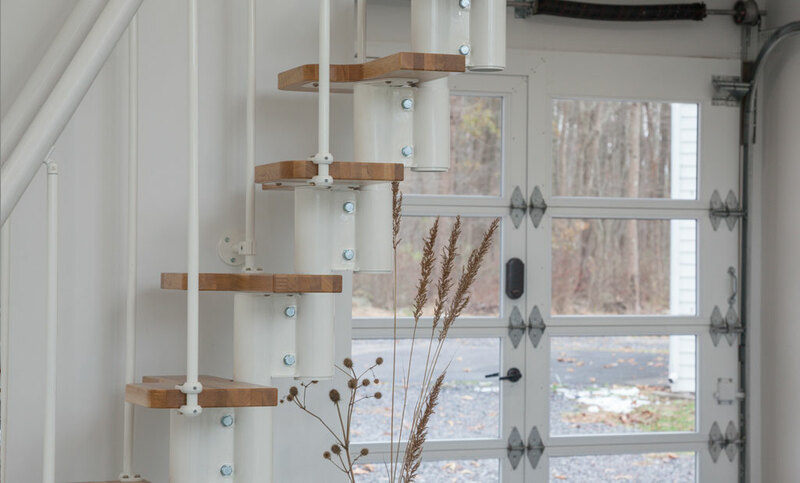 Throughout the process, our design team took the customer’s needs, wants and budget into consideration and built a beautiful loft with clean, modern lines and stylish details. 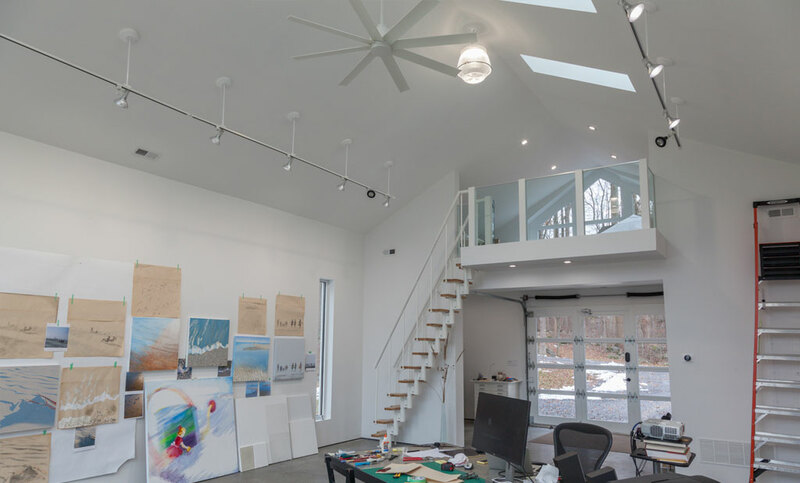 Drawing natural light into the painter’s space was a must-have for the customer and became the focal point for the building’s design. Our team placed massive, A-frame windows at the front of the building that visually blended indoors with outdoors. The loft features a modern white kitchenette with the same stylish, minimalist features as the painting space. A sleek floating staircase centers the first floor of the loft. And upstairs, a second-floor loft space gives this open floor plan a cozy nook with a bit of privacy. 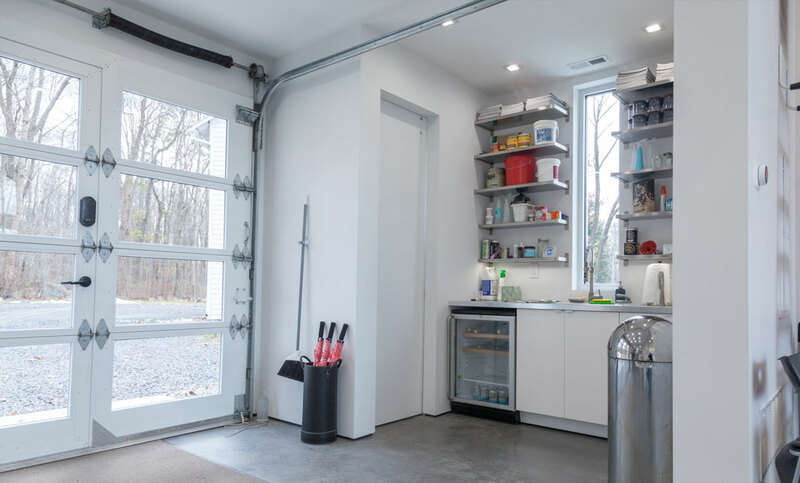 The loft’s main access door is a garage door reimagined, acting as both a full-size garage door and a traditional front door. The door’s glass panes let natural light pour through the home and give the entryway modern character. 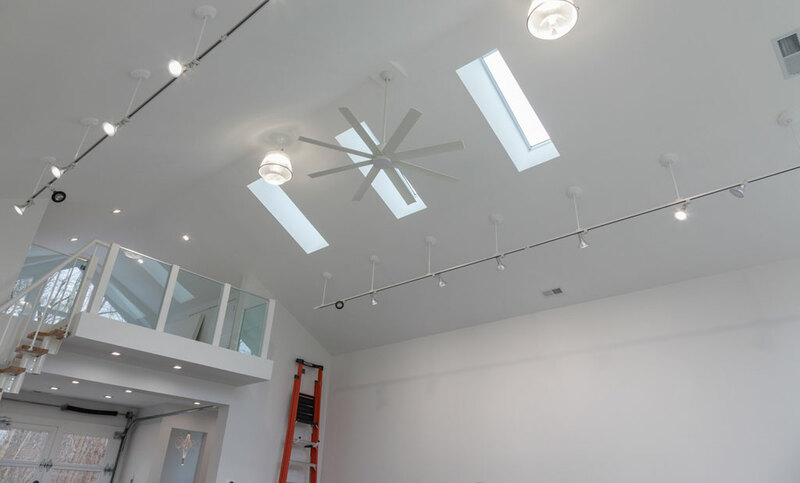 This beautiful custom loft is a perfect example of the creative, high-quality and stylish structures we bring to life. For more information on how Conestoga Buildings can bring your custom living space to life, contact us today.